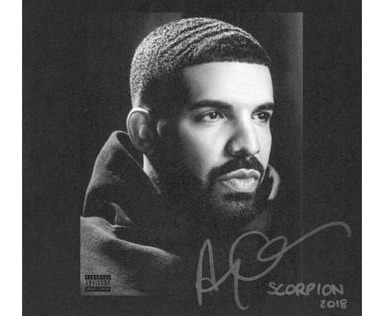 Drake’s fifth album, Scorpion, has surpassed the artist’s own single-day streaming record on Apple Music, with over 170 million streams in its first 24 hours of availability. Apple told The Verge that Scorpion now holds both the U.S. and global streaming records for the company’s streaming service, and the debut is the biggest ever single-day streaming total for any album on any streaming service. Drake’s last album, More Life, held the previous record with 89.9 million streams in its first day. It also set records on Apple’s Beats 1 radio service, marking the biggest Beats 1 show in its history at the time. Apple promoted the artist’s latest release by launching a site that lets visitors make their own Scorpion album cover art with personal photos. The company also made sure Siri had something to say when fans asked the virtual assistant what Drake’s nicknames are. Scorpion appeared on almost 30 of Spotify’s popular playlists, but the rival service was still unable to keep up with the Apple Music’s streaming figures for the album, despite it having around 120 million fewer subscribers than Spotify. According to Spotify’s public charts, the album was streamed over 132 million times in its first 24 hours, but Spotify said that number could end up being higher once it finishes tallying the results. Scorpion is expected to shatter the single-week streaming record of 431 million streams currently held by Post Malone’s Beerbongs & Bentleys.